With so many options for gamers when it comes to street racing, decimating invading aliens, and battling in some sort of royale, supercross as a genre has been somewhat overlooked. While there were a number of titles that popped up here and there a few generations ago, the high speed sport has been left seemingly untouched. Developer Milestone took the charge and gave us Monster Energy Supercross back in February, a brand new foray into the dirt biking mayhem based on the AMA Supercross Championship. With the surprising success of this underdog title, Milestone has listened to the fans and is set to give us a fantastic sequel with Monster Energy Supercross 2. We had a chance to sit down and talk to Andrea Loiudice, the Marketing Manager for Milestone, and learn just what their upcoming title has to offer. 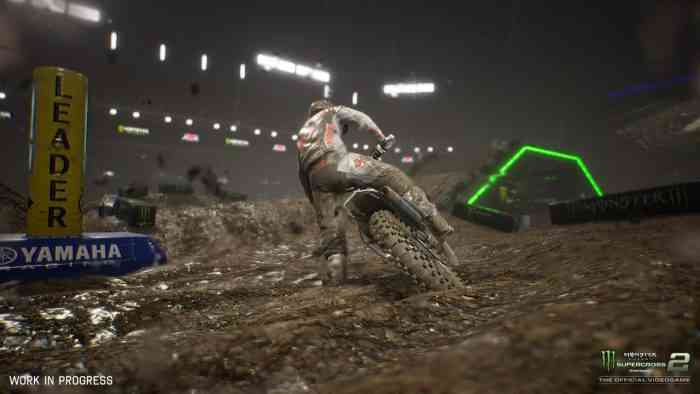 Monster Energy Supercross 2 is an upcoming title with a number of enhancements and new features including dynamic weather conditions, improved AI, improved physics for the bikes, and a greater depth of customization options not only in the players bikes and gear but their physical appearance as well. Players will be able to perform victory animations when placing in the top three spots, as well as new tasks to preform during the career mode. In between races players will be able to train to improve their skills as well as complete challenges to increase their abilities.The game will also feature a new area called the Compound which holds four different tracks in which players can free roam, preform challenges, and familiarize themselves with controls, tricks, and the proper mechanics of accelerating and braking. Monster Energy Supercross 2 is set for release February 8th, 2019 and will be available on PC, PlayStation 4, Xbox One, and Nintendo Switch. For more information check out the game’s official website.